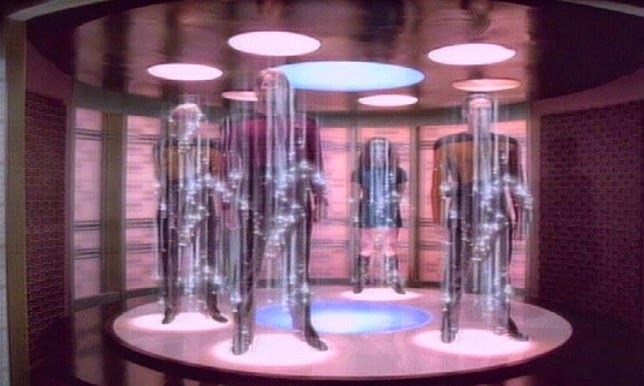 The concept of teleportation comes primarily from science fiction literature throughout human history, but things are changing. It's 2014 and developments in quantum theory and general relativity physics have been successful in exploring the concept of teleportation for quite some time now. They were able to transfer key properties of one particle to another without using any physical link. In this case, teleportation occurred in the form of transferring quantum states between two atoms, these include the atom's energy, motion, magnetic field and other physical properties. The above examples all refer to quantum teleportation, and given that we are all made up of atoms, it lends belief to the possibility that one day we will be able to teleport full physical objects, but some studies, at the highest levels of government, suggest that it's already been done. Time required for teleportation of the test specimens through various barriers was anywhere from a fraction of a second to several minutes, it didn't matter which test specimen was used.